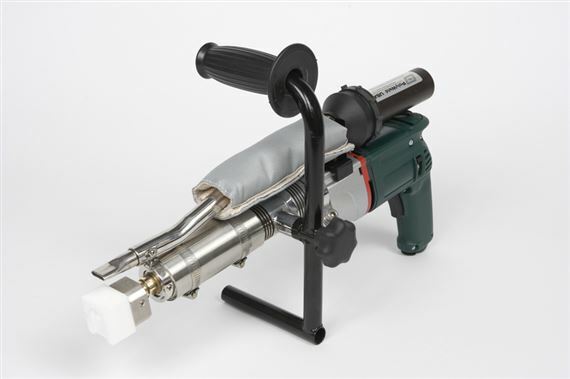 Don’t be fooled by the little size of the mini-Z extrusion welder. It is the best in its class for tackling small areas of welding. Comes with its own pre-heat air source. The mini Z is good for on-the-job welding. This welder can be held with one hand. The mini-Z extruder ships in a case with one blank tip.